In June I was asked to visit the Village Reach project in Malawi by one of its funders – the Vitol Foundation. Dispensing is an important but neglected area and VillageReach is to be commended on recognizing the need for more investment in this area. 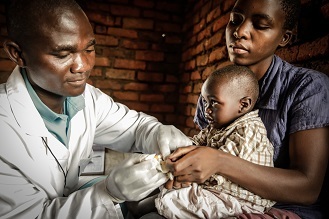 Malawi has very few trained pharmacists or pharmacy technicians and so much dispensing at the health centre level is done by completely untrained people with a substantial risk that drugs will be wasted and that patients may be given the wrong medication. Pharmacists are trained at the School of Health Sciences in Lilongwe. Fully trained pharmacists undertake a four year course, pharmacy technicians a three course leading to a diploma. A new cadre of pharmacy assistants has been created by the Ministry of Health and VillageReach, with 150 enrolled in the first year. The ultimate goal is to place one pharmacy assistant in each health centre. Assistants spend the first five months of their course in Lilongwe for basic training, then five months in a district hospital where they work under the supervision of more senior staff, a further five months of training in Lilongwe and then finally five months on their own in a health centre. VillageReach is supporting the training programme for pharmacy assistants with funds from Vitol, USAID and the Barr Foundation. I was accompanied during my visit by Jessica Crawford, head of the Village Reach office in Malawi. We visited Tyolo Hospital, a district hospital in the tea estates and two nearby health centres. In Tyolo four students had arrived a week previously to begin their practical training and were busy counting out tablets. They were being supervised by a lecturer from the Malawi College of Health Sciences Pharmacy Department in Lilongwe who had come to Tyolo to help the students settle in. In the two health centres we visited, individual students were in the middle of their final practical period. The assistants are responsible for both the receipt and storage of drugs and for their administration to patients. In both the hospital and the two health centres drugs were being very well stored and looked after with stock records being kept. The health centres are supplied from the district hospital and obtaining new supplies from the hospital often requires a day visit by the pharmacy assistant to obtain new supplies. ARV drugs are delivered directly and take up a large part of the storage space. All record keeping, ordering etc., is done manually using written records and it would be a big step forward if some of this could be computerised. Jessica pointed out that there is a tendency for the assistants to spend most of their time in the store rather than doing dispensing and the two we met were encouraged to spend more time in dispensing and talking with patients about how to take their drugs. In one clinic where drugs were being dispensed by an untrained member of staff, dispensing was not being done well (drugs were being sorted by hand, packages not labelled etc, ) emphasising the need for better-trained staff in this important area. I observed the same practices when visiting another health centre the following day with the ICEMR team. The project is currently well supported and USAID have indicated that they may provide further funds. Jessica would like to see more support given to the teaching staff at the Malawi College of Health Sciences Pharmacy Department who are doing an excellent, but rather unrecognised job. A risk to the project is that the staff trained under the programme, as is the case for more senior pharmacists, will be drawn off into the private sector. It will be important to follow-up the careers of students in this programme. Overall, this is a valuable project directed at a neglected but important area and it appears from my short visit to be one which is being effectively run and a good investment for Vitol.